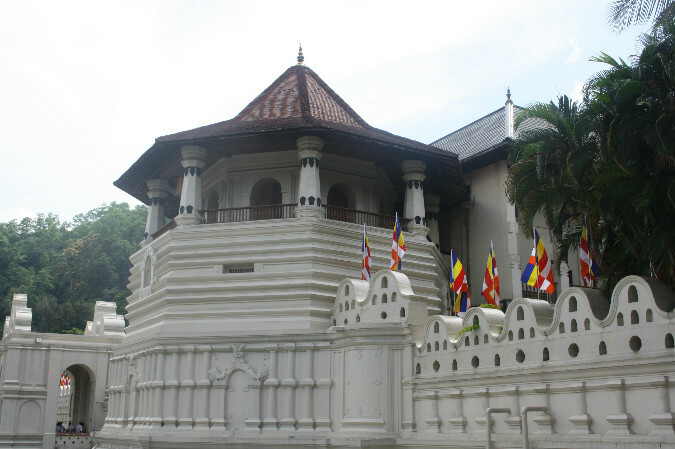 Situated in the ancient kingdom in the central highlands of the country Temple of the Tooth Relic in Kandy also known as Dalada Maligawa is considered one of the holiest and sacred sites for Buddhists. 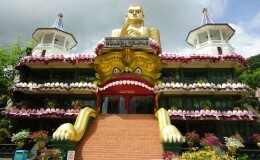 It is believed that the Temple is home to one of the tooth relics of Lord Buddha. Many years later, following Buddha’s passing away, an Indian Princess named Hemamala has brought the tooth relic to Sri Lanka. The temple complex is surrounded by a moat and it is bounded by white carvings of elephants. You could also see the four main Devalas (temples of Gods) facing the temple complex. Just as you enter the main court yard of the temple premises you come across statues of Weera Keppetipola Disawe, a hero of the Uva rebellion against the British rulers, Venerable and noted monks like the Hikkaduwe Sri Summangala thera. From this place you get a clear view of the Octagon and the golden canopy of the chamber that houses the tooth relic. It is advised for all tourists not to wear shorts or short skirts and to go barefoot into the temple as a sign of respect. 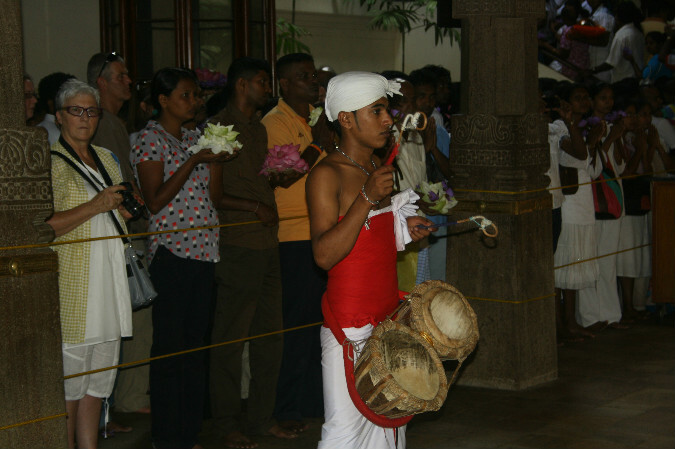 The inside of the temple gives a very spiritual feelings with the chanting of the monks, the drumming and the pujas that could be heard from time to time as the tooth relic is worshipped with many offerings throughout the day. The abode of the tooth relic is located in the upper floor of the temple and it is a sight to behold. The magnificent door that is inlaid with silver and ivory opens to the ever most magnificent casket that holds the holy tooth relic. It is actually protected in seven casks and the cask is kept inside the inner chamber, visitors cannot see the actual tooth relic. They can see the jewel embed golden casket and the keys to each casket is held by the chief monks of the main monasteries in Kandy. After getting a glimpse of the inner temple and the casket that holds the holy tooth relic you could head down to the Aluth Maligawa area (New shrine area). It is build to resemble the architecture in Thailand and said to be a tribute to the Thai monks that rejuvenated the ordination traditions of Sri Lankan monks. It also houses many Buddha statues, letters and journal entries that date back to the British rule. They show how even the colonial rulers treated the Tooth relic with utmost respect. The area also has photographs of the bombing incident that was instigated by terrorists which partly destroyed the temple. 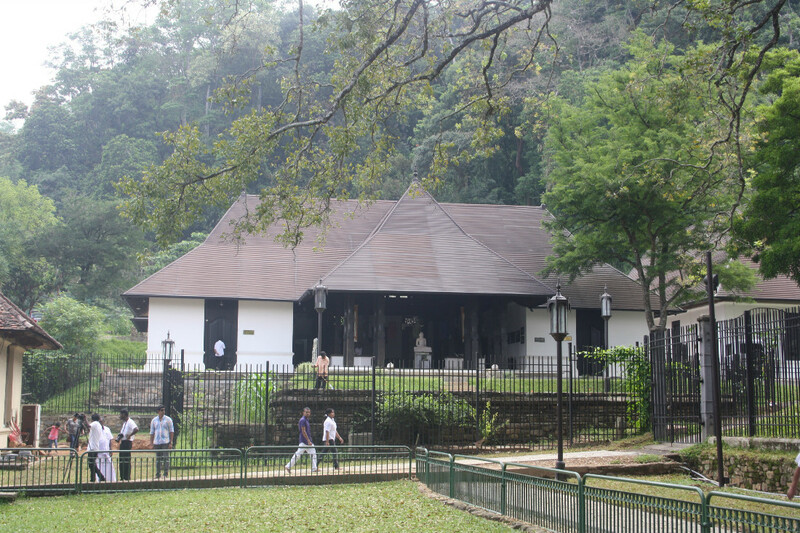 The Sri Dalada Museum, in the premises of the temple showcases the travails of the holy tooth relic and houses many paintings that show the artistic styles of the Kandyan era. The Elephant Rajah’s museum depicts the life of the beloved elephant Rajah who is said to be elephant that served as the bearer of the casket for the longest time. The magnificent tusker has had much discipline and decorum when he was carrying the casket of the tooth relic on its back during the Esala Procession and he had served until he died, aged 85 years. 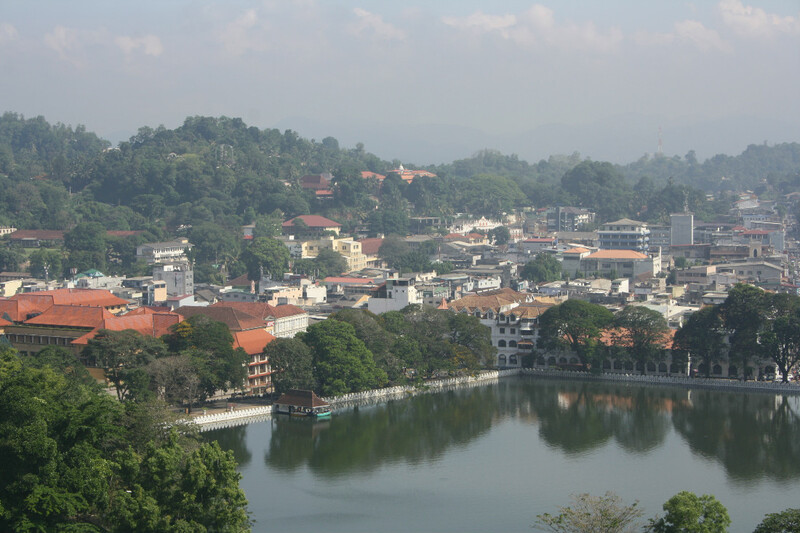 The temple of the tooth relic holds much history and culture and it’s too precious to be missed if you are in Kandy. The Golden temple of Dambulla also known as the Cave Temple of Dambulla bears witness to the rich cultural heritage of Sri Lanka. Located about 142 kms away from Colombo the Dambulla cave temple is the best preserved rock temple complex in Sri Lanka.